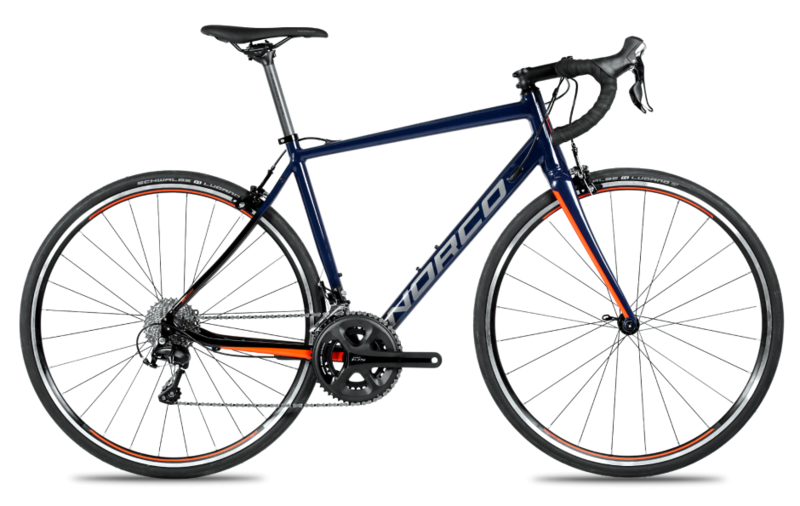 Norco Bicycles are designed with one objective in Mind: Enhancing the riding experience. Driven by this collective goal, they develop technologies that make you faster, more confident and more comfortable. These technologies make our bikes lighter, stronger, stiffer and more intuitive so you will get more: more hours in the saddle, more watts of energy, more terrain explored and more smiles shared with friends. FACT! Advanced Ride Technology, or A.R.T., is the direct link between engineering and experience. More than a single suspension platform, A.R.T. is a system that we optimize for each intended use. Norco’s engineering team strategically manipulates pivot locations to precision-tune suspension kinematics, ensuring that every full suspension bike will excel in the environment it was designed for. For downhill applications, we increase rearward axle path for a more controlled ride over gnarly, unpredictable terrain. For cross-country we increase pedaling efficiency and small bump compliance for a faster, smoother ride. A.R.T. delivers four major benefits to riders: enhanced pedaling efficiency, increased square-edge bump compliance, improved braking performance and progressive suspension characteristics. These benefits are balanced in different proportions based on intended use, creating a ride experience unique to each model. A.R.T. is designed to effectively manage chain growth to create anti-squat forces that counteract the forces responsible for suspension bob. The result is an incredibly efficient pedaling platform, superior power transfer and unmatched climbing ability. Rearward axle path describes the rear wheel’s trajectory as a bicycle moves through its travel. A.R.T. uses a pronounced rearward axle path that enables the wheel to travel both rearward and upward, up and out of the way of obstacles. 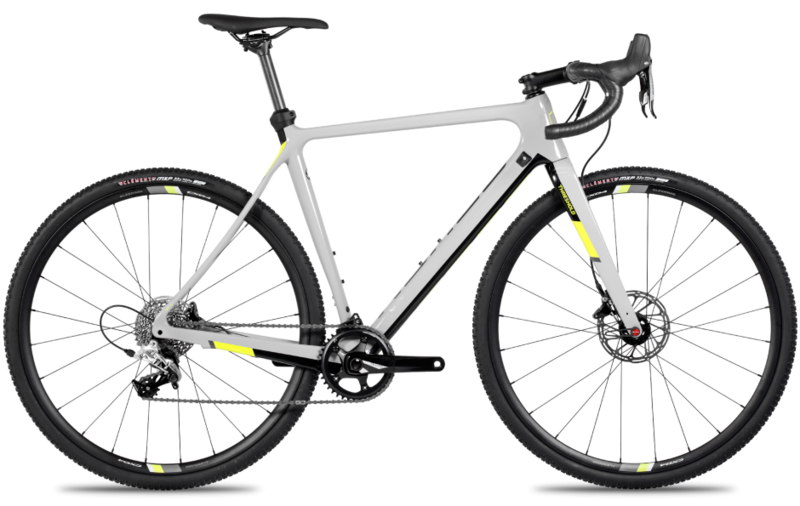 A pronounced rearward axle path also allows a bike’s suspension to remain fully active when pressure is applied to the brakes. A.R.T. delivers powerful, predictable braking with fully active suspension and superior traction at all times. A.R.T. suspension uses a progressive leverage ratio curve, meaning that the forces required to engage the shock increase progressively as the shock moves through its travel. The first part of the stroke is very supple and effectively absorbs small to medium-sized impacts. Toward the end of the stroke, the shock becomes progressively stiffer, resulting in a ‘bottomless’ feel. To the rider, this progressive curve is experienced as consistent, predictable suspension at every point in the travel. Norco’s carbon frames are manufactured with only the highest quality materials, right down to the resin we use to hold everything together. Our superior quality ArmorLite resin produces an exceptionally strong bond that enhances frame strength and increases impact resistance. The fully proprietary GIZMO system features two-piece GIZMO plugs that create a tight seal, blocking water and debris from entering the frame. GIZMO plugs pinch and hold cables firmly in place, preventing any rattling at entry and exit points. They also enable the rider to pull cables taught so that they can be prevented from rattling around inside the frame. With traditional frame designs, engineers adjust front-centre lengths for each frame size but use a single, fixed rear-centre length. This approach leaves riders of certain body types in a poor position when standing. Poor body position leads to uneven weight distribution and negatively affects traction, control and overall performance and ride characteristics. A simple solution to a complex problem, Gravity Tune fixes the front-centre/rear-centre ratio across all frame sizes, effectively optimizing geometry for every bike in the line. As a result, weight is always optimally distributed – regardless of rider height. 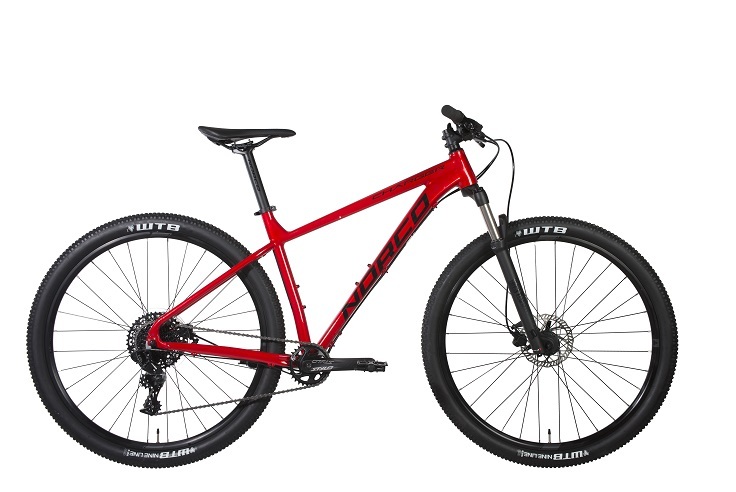 Available only on Norco Bikes, Gravity Tune means equal ride characteristics and unrivalled control for all. A PressFit 30 bottom bracket offers all of the stiffness benefits of a BB30 bottom bracket, and adds a few unique benefits of its own. With PressFit 30 bottom brackets, bearings are housed in nylon cups that are pressed directly into the BB shell. This eliminates the need for the aluminum sleeve used in traditional BB30 designs and therefore reduces overall weight. The PressFit 30 system also creates a better seal around bearings, increasing their lifespan and reducing the possibility of a blowout. PressFit 30 BBs are less prone to creaking than other BBs and are compatible with all BB30 cranksets. Integrated into the rear dropouts, the post mount uses half of the hardware of a normal brake mounting system and creates a stronger structure that reduces braking harmonics. Norco’s Power Chassis Design is the ultra-efficient power transfer system that gives our Revolver hardtail XC race bikes their responsiveness and explosive acceleration. The Power Chassis is a complete pedaling platform designed to convert energy from a rider’s whole body into forward momentum. 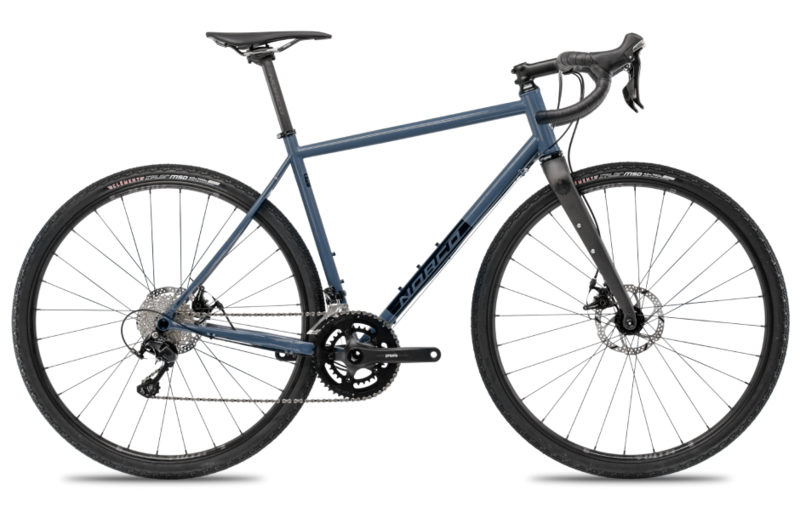 The design begins at the tapered head tube and leads down through an oversized, down tube that creates an extremely stiff linkage between the front and back end of the bike. The down tube leads into an oversized, super-stiff bottom bracket shell designed to house the most efficient cranks available today. The oversized BB area then leads through to an especially broad set of chain stays, engineered to conduct energy directly from cranks through to the back wheel where they are converted into forward thrust. By increasing tube profile dimensions in proportion with frame size, Norco engineers are able to calibrate frame stiffness to the weight of the prospective rider. This ensures that a heavier rider on an extra large frame will experience the same ride characteristics as a lighter rider on a small frame. Though the process is labour-intensive, the result is worth the effort: optimal ride characteristics, performance and comfort for riders of all sizes. Norco’s SmoothCore process enables us to maintain precision control over all of the inner surfaces of our carbon frames, which is particularly critical at complicated, high-stress areas like the head tube and bottom bracket junctions. At the heart of SmoothCore is our innovative mandrel system. Tapered head tubes provide three major benefits to riders: stiffness, responsiveness and durability. A wider head tube junction leaves room for a larger down tube, enabling engineers to create a stiffer, more efficient pedaling platform. The wider junction also enables us to use forks with stiffer, stronger fork crowns and steer tubes; these forks are less prone to flex, so riders experience enhanced responsiveness and control in the handling of the bike. Tapered head tubes also enable engineers to optimize headset bearings. Oversized 1 1/2” lower bearings are stronger and more durable, and they are better at dissipating loads and handling impacts. Smaller 1 1/8” upper bearings, which experience less load, are lighter. Combined, all of these tapered head tube benefits contribute to a more thrilling ride experience.